Hayden Panettiere revealed in a new interview that her intense role as Juliette Barnes on Nashville mirrored her real-life battle with postpartum depression after the December 2014 birth of her daughter, Kaya. "You have to ride the waves like the character," the visibly emotional 27-year-old actress told Access Hollywood on Monday, December 19. "When you&apos;re that close to your character, you feel their pain and sometimes things hit close to home, and there&apos;s been a lot of that." 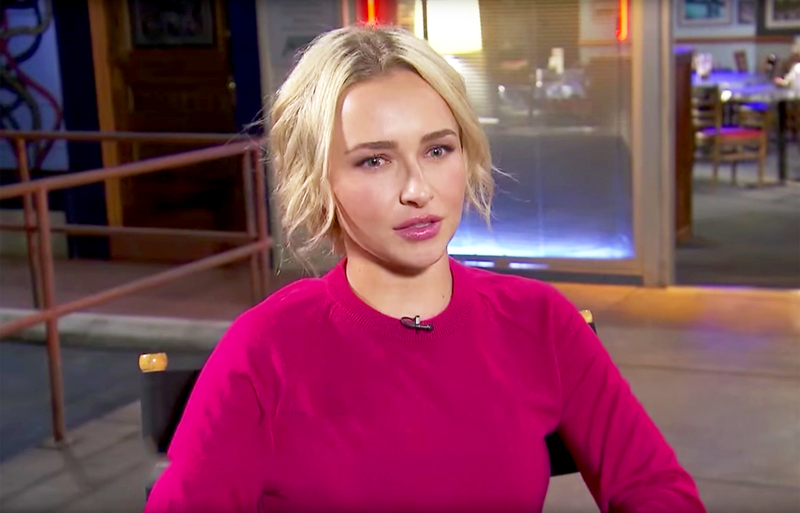 Hayden Panettiere during Access Hollywood interview. The Heroes alum has been vocal about her health since she checked into a treatment center for postpartum depression in May. "The postpartum depression I have been experiencing has impacted every aspect of my life," she wrote on Twitter at the time. "Rather than stay stuck due to unhealthy coping mechanisms I have chosen to take time to reflect holistically on my health and life. Wish me luck!" She previously sought help in October 2015. During her interview with Access Hollywood, Panettiere hinted that her grueling work schedule may have also played a role in her health battle. "It definitely takes it out of you. We shoot 10 months out of the year. That&apos;s a lot," she told the news outlet on Monday. The former child star also had support from Nashville costar Connie Britton, who plays Rayna James. "I think she&apos;s had a very interesting journey in terms of that character and some of the experiences that she&apos;s gone through," Britton, 49, told Access Hollywood. "I really think that she toughed it out." As fans know, Panettiere&apos;s character on the CMT country drama also battled postpartum depression. A recently released trailer for the forthcoming season 5 showed Juliette breaking down in tears and saying, "We tape ourselves together so that no one can see our flawed hearts." Nashville previously aired on ABC and was canceled in May after four seasons. CMT picked up the series for a fifth season in June. Nashville returns on CMT Thursday, January 5, at 9 p.m. ET.